David Gothard That's right, I'm not from Texas. 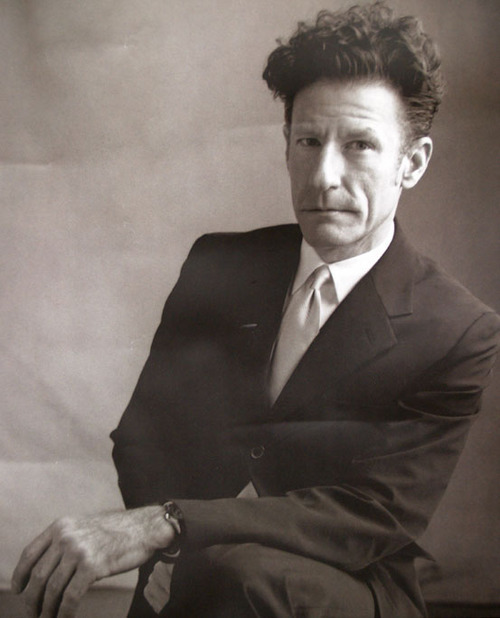 My one and only ever music post..... Last night, Lyle Lovett and his big band performed in Princeton, NJ and I was among the sold out audience. His quirky personna and lyrics were balanced by some legends in the music biz, mostly from Austin & L.A., that comprise the band. They blend R&B, rock, bluegrass & yes, country, seamlessly. He makes me wanna wear a ten gallon hat. Lovett's rendition of Mac the Knife is my all-time favorite version. Its positively chilling. I had no idea how scary the song was, after hearing the ... was it Bobby Darrin? ... version when I was a kid. I thought it was a peppy, finger-popping Vegas tune, until I heard Lyle Lovett sing it. Yes Dave....and don't forget the lone star state boasts Jack Unruh too..........not to mention my little wifey. I've never heard Lovett live, but I like country when there's a good band backing up, and I've liked his quirky renditions of songs in broadcasts I've heard. I feel guilty, too, because Leo and I attended a concert of John Scofield's trio with Steve Swallow and Randy Stuart, and since it blew me into the next county I wanted to post something about it but didn't get around to it. Leo did some drawings. And yeah, I'm envious of you, Burkhardt, being so close to great music in Austin (I shouldn't complain�I live in Boston...rhymes with Austin). While Texas has been tainted by association with the First Idiot, it's not hard to appreciate Texas if you focus on chili, barbecue, and Molly Ivins. Dave, Sounds like a great night. Did you see John Hiatt is doing a solo show there! I've seen him before solo and his amazing. His one of my fav's. Austin is one HOT town... weather and music.